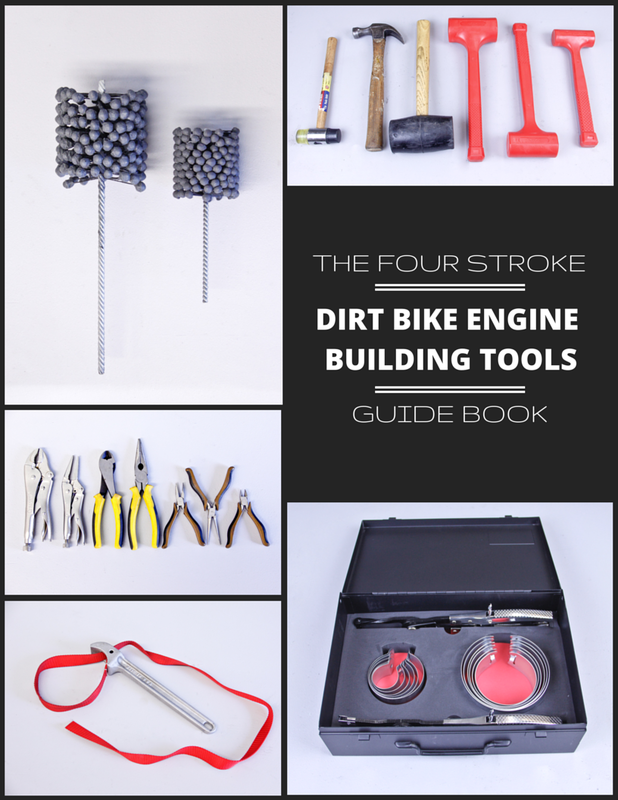 Want to find out what tools you need to successfully and professionally rebuild your four-stroke dirt bike engine? Download this free tools guide to learn exactly what you need to complete a major overhaul all by yourself. 22 pages of comprehensive tool information for dirt bike engine building. Advice on what specialty tools you absolutely must have. Examples of where each tool is commonly used on the dirt bike. Recommendations on what precision measurement tools you'll need to accurately assess the health of your engine. Direct links to purchase the tools we love and trust. Success! Now check your email inbox to download your FREE Guidebook.